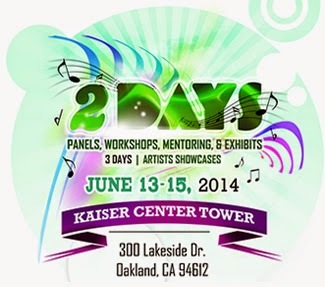 This weekend is the California Music Summit in Oakland in the Kaiser Center Tower at 300 Lakeside. 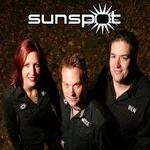 This is a great event that every independent musician should attend. Many great panelists and speakers will present their ideas and thoughts on how to make the music industry a more opportune place for all musicians. Broadjam's Mike Huberty will be there sitting on three different panels. The first is at 11 AM on Saturday titled Generating Royalty Income. The new music business gives musicians the opportunity to generate revenue from a multitude of sources. This panel will address some of those outlets and discuss performance rights and other topics. The second panel is at 1PM and the topic is Attracting Music Supervisors. Mike is out licensing manager and that is what he does on a daily basis at Broadjam. He seeks out opportunities for our members to monetize their music evryday. This panel will discuss how to find them on your own and how to get your music to a supervisor. It will also address the importance of this process in bringing new artists to the forefront. This is going to be a good one. The last session is scheduled at 5 PM and is a Demo Listening Session. Participants will have the opportunity to submit directly to the panel of experts and get feedback on the potential of their songs. Beginning tonight, there will be awesome showcases featuring some great independent artists at the Stork Club and tomorrow at the Legionairre Saloon. I wish I could be there, it sounds like it will be a great time with lots of great music. If you are in one of the sessions and would like to provide feedback, feel free to post it here.